Apple’s latest iPhone is the company’s fastest, most advanced model ever, but does that make it the best high-end smartphone on the market? At first glance users will find it hard to differentiate between the 5s and its predecessor, the iPhone 5, as both devices appear to be identical save for one thing - the new home button. This lacks the familiar square icon in the middle and is a lot less indented than before. The reason for this is of course that it integrates Apple’s new Touch ID fingerprint scanner. Once set up during the smartphone’s very first boot-up (takes around 20 seconds), you can utilise your chosen digit to unlock the device and approve iTunes Store and App Store purchases. This works extreme well, and whilst we initially had it pegged as a gimmicky feature (much like Siri), having to go back to the iPhone 4s and constantly type in our password whilst downloading an app or track, was suddenly really annoying. One qualm we still have with the design (other than the lack of a bigger, higher res screen that is), is the placement of the speaker at the bottom of the device. This makes it very easy to muffle the sound when you are playing a game whilst holding the smartphone is landscape orientation. 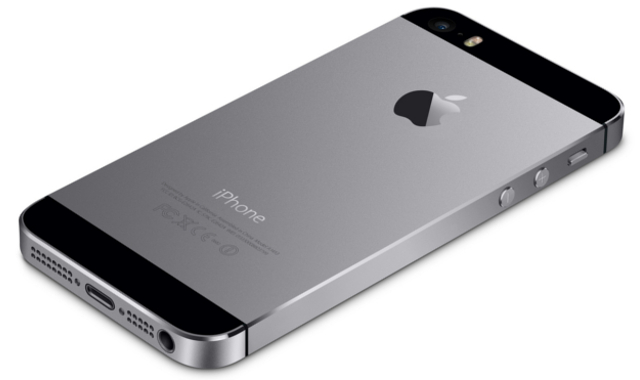 At the bottom of the iPhone 5s is the 3.5 mm headphone jack, lightning port, and speaker grille. You can easily muffle the sound whilst playing games and holding the device in landscape orientation. Even though the external design of the iPhone 5s hardly changed at all, the internals did receive a noticeable update in the form of Cupertino’s new A7 system-on-a-chip (SoC). The real benefits of having a 64-bit dual-core CPU clocked at 1.3 GHz will only be experienced in future, as developers churn out applications that will make use of the power of this new chipset. In the present, however, the processor has managed to humble the 32-bit quad-core and Octacore CPUs in rival devices during benchmarking tests, and also keep things buttery smooth no matter how many demanding games or apps you run. Although a photo comparison of the iPhone 5s and 5 might make for a good spot-the-difference puzzle, underneath the skin changes result in a different performance animal entirely. Despite Apple not upgrading the megapixel count of the main shooter of the new iPhone, the company did tinker with the cameras. The eight megapixel iSight camera boasts a larger f2.2 aperture, plus a bigger sensor, allowing us to capture better looking photos in low-light and overcast conditions. The selfie shooter was also upgraded to a 1.2 MP FaceTime HD front-facing snapper, enabling us to take noticeably nicer photos, although not quite as nice as on HTC’s One mini. Apple’s iSight camera can also records video at 120 frames per second so you can do some stunning slow-mo video effects. 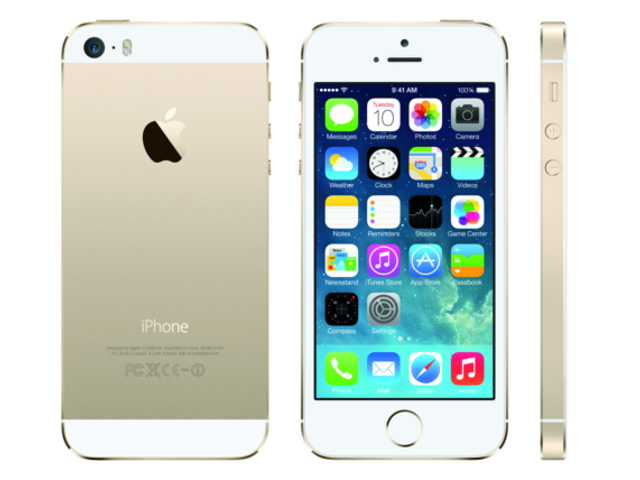 Apple’s iPhone 5s may look like the iPhone 5, but is actually a different animal thanks to the improvements made to the camera, the processing beast that is the new A7 CPU, as well as the fingerprint scanner. It goes for an expensive RRP of R10 500 for the 16 GB version from Vodacom, which makes it an upgrade more suited for iPhone 4s (review) users. iPhone 5 owners can opt for cheaper rivals with bigger, higher resolution displays such as the Galaxy S4 (R8 500), Galaxy Note 3 (R9 000), and LG G2 (R8 000). Can easily block the speaker in landscape usage mode; expensive; rivals have bigger displays with higher resolutions; and no expandable storage.